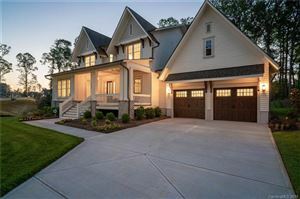 Fort Mill Homes for sale in Walden Park. Walden Park is a beautiful Fort Mill Neighborhood located just off of Highway 21 Bypass near downtown Fort Mill. In Walden Park residents have the luxury of living in a quiet neighborhood with easy access to schools, I-77, and the shops and restaurants of Baxter Village. Just down the street you’ll find The Peach Stand which draws people from all over the area with its fresh produce from Springs Farm, its butcher shop, and restaurant that serves up breakfast and lunch. The architectural style can best be described as craftsman and is similar to that in Baxter Village, but at a fraction of the price. Homes in Walden Park are less than 8 years old. Home prices in Walden Park range from around $180,000 to the mid-200s. Most floor plans are 3 to 4 bedrooms with 2 1/2 to 3 1/2 baths and are 2,300+ square feet. The Brentwood homes were built of hardiplank while most of the Ryan homes are vinyl, some with stone accents. 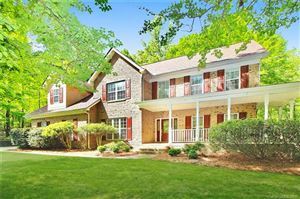 Fort Mill homes for sale in Walden Park.